800 students to be taught CPR in a mass one-day session by heart charity volunteer medics. On Thursday 23rd April Welsh Hearts charity team of medics will train up over 800 students at Lliswerry High School, Newport, Gwent in CPR and the safe use of defibrillators in just one day! Our doctors, nurses, paramedics and community first responders from all over Wales have been providing free CPR and defibrillator training as part of the “Saving Lives in Wales” campaign with Welsh Hearts. We started this project in schools just over a year ago and have now taught over 6,000 people across Wales. 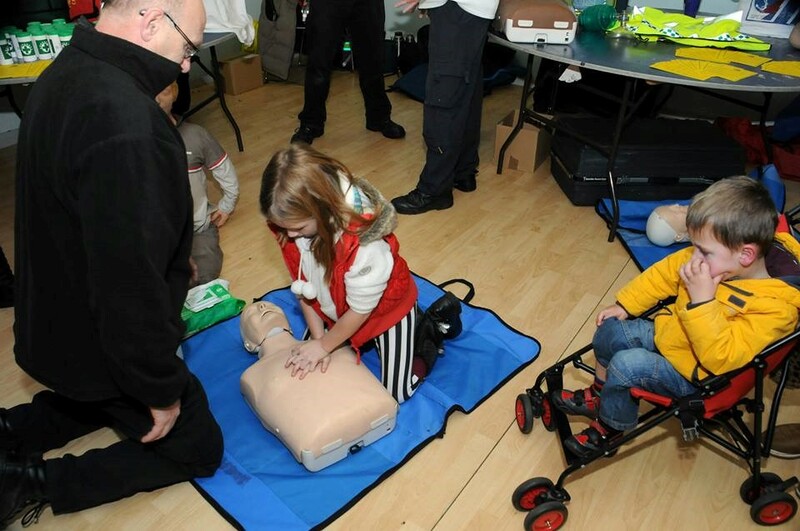 We have carried out almost 130 training sessions in schools, rugby clubs and local communities. Alongside the training, Welsh Hearts are providing public access defibrillators, and have so far delivered an incredible 167 units to schools, rugby clubs and other communities across Wales. If a person suffers a cardiac arrest (their heart stops) or they choke, the importance of knowing what to do and how to do it in the vital minutes before an ambulance arrives can not be underestimated. We regularly see the incredible difference that bystanders can make to patient survival. The principles are simple and can be taught concisely and effectively by our team in about an hour. Our training focuses on the science behind life support and teaches a simplistic approach to managing a medical emergency. We believe that this provides a thorough understanding of basic life support and encourages a proactive response to providing help. This should prove to be a fantastic, groundbreaking day. By passing on our experience and skills with this training we will provide the students with the confidence and ability to potentially save someone’s life.